The truth is, there are many different types of cloud services and the value of a given service and provider varies according to the enterprise needs. I know this is really obvious and what I am calling out here is how it is often forgotten after seeing a press release or the conclusion of a well-rehearsed and intricately orchestrated sales demo. There is no doubt in my mind that cloud services will benefit most (maybe even all) businesses. But not every type of cloud service is needed by every business and how one business uses a specific service is not how every business should even if they will benefit from the same service. Data storage is a great example, because it has become a universal need. There are businesses that can and should keep all of their data in cloud services. The plural is on purpose, because if you are going to commit your entire business to the cloud you need to have some kind of backup. On the opposite end of the spectrum there are many small companies that have neither the volume nor the budget to properly maintain all data safely in the cloud. In the middle (and the latter example is far more common than the first) there are the majority of businesses that will benefit storing certain types of data in the cloud and applying both MDM synchronization to ensure availability and continuity. The biggest hurdle in guiding enterprise technology is not getting buyin on new technology; it is managing the false sense of security that comes with having been convinced to adopt the new technology. Part of the reason stake holders expect the latest cloud offering to save the planet is overselling on the part of IT, vendor sales and marketing, and industry hype (which is greatly fueled by vendor marketing in much the same manner as a recursive process with a bug). Measure twice, cut once—every single time! To avoid the rush to greener cloud pastures, IT and business need to work together to define and agree on business and technical goals. Once the goals are agreed to, an analysis of how a given cloud solution will further those goals should be supported by a pilot or proof of concept before any large commitment is made. The results of the analysis must vigorously seek any side effects that have a negative business aspect in addition to how the goals are met (or not). Finally, if the solution is adopted, the analysis needs to be reviewed and revised for every case. Again, no rocket science or epiphany here: just common sense that is not-so-common as to not benefit from repetition. The cloud is just someone else’s computers; plan your security and continuity accordingly. Not all cloud services are equally reliable. Not all service providers are equally suited to your specific needs. Because one cloud service is perfect for your needs does not mean every cloud offering is going to be your best option. What works for one enterprise may not work for another; do your own validation. Most cloud services are multitenant; it’s time to write tight again! Try before you buy and validate before you commit. SLAs and price structures vary wildly; read the fine print! 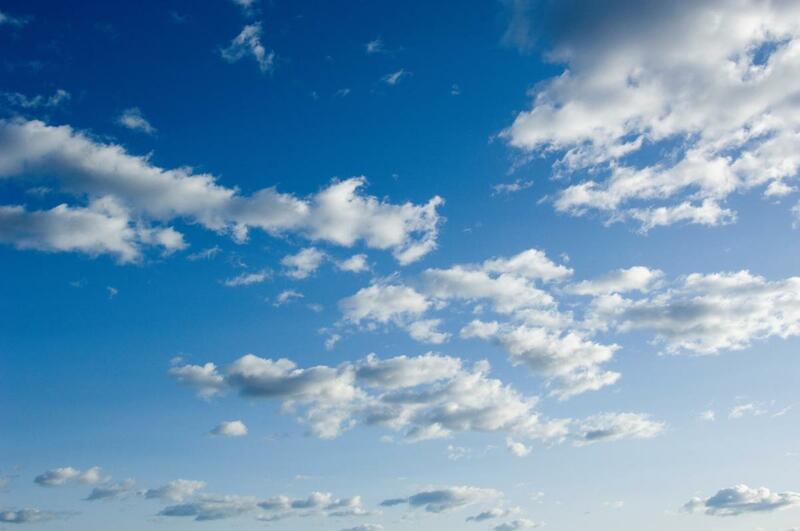 The forecast for enterprise architecture is increasing clouds. Enjoy the shade and keep to high ground away from potential flood damage!